I don't know about you but I'm not used to Paypal offering stuff for free. Actually the company's policy always seems to be about nickeling and diming at every opportunity it gets, so today is your chance (maybe?) to redeem some of the monies you lost to Paypal in a currency exchange or transaction fee. A £3 Coupon code is being offered by the company for purchases on Google Play. Open the page (from the source link below), click to save the offer and have it added to your Paypal account, then go to the Google Play Store and make a purchase using Paypal as the payment method at check out. The £3 credit gets applied to your transaction and Paypal will email you to let you know the coupon has been redeemed. However, after trying it out, it seems likely that although anyone with a Paypal account can redeem the offer (I got it on my French Paypal account and Artem got it in the US), the coupon will predictably only be applied if you make a purchase on the UK Play Store (purchasing in the US uses your Paypal balance, not the coupon). 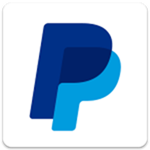 If you live in one of the 18 countries with Paypal support on Google Play and you do try it out, let us know if you're successful in activating the coupon outside the UK. Per the deal's terms, "When a participating Eligible Customer pays with PayPal for a purchase on the UK Google Play store during the Promotional Period (“Qualifying Payment”), PayPal shall credit the Eligible Customer’s PayPal account with the amount of the Qualifying Payment up to a maximum of GBP 3.00 per Eligible Customer in total."